Vertical extrapolation is used to calculate the wind speed at a height different (normally higher) than the anemometer. 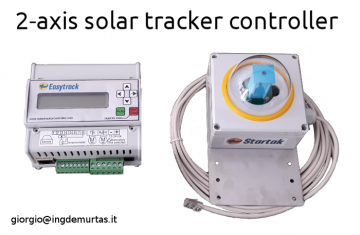 It is recommended [Measnet report – Evaluation of site specific wind conditions ] that the top anemometer is at least at two thirds of the hub height when extrapolating to hub height. The slope and the shape of the vertical profile is influenced by several factors for example the atmospheric stability, the orography and the roughness of the terrain, and, the roughness changes. The following two relationships can be used to describe the vertical wind profile (on average, assuming flat terrain and constant friction velocity). 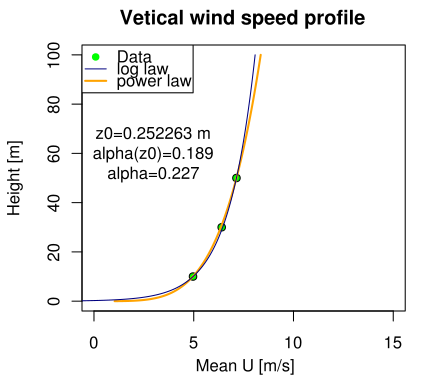 The coefficients alpha for the power law and z0 for the log law can be calculated from the measurements of at least two anemometers (U1, U2, …Un) at different height (z1, z2, …zn). Having two anemometers alpha can be calculated with equation 4.3.
line that passes trough (U1, z1) and (U2, z2). Similarly, alpha can be calculated from more than two anemometers using a linear regression (forced to intersect the point (0,0)) of the points x = log(Uj/Uk) and y = log(zj/zk) for all the possible combinations of j and k. Then ? is the slope coefficient of the linear regression. In which climatic conditions to calculate alpha is a site specific choice. In the real measurements one will see that alpha is very variable with direction, hour of the day and atmospheric conditions. 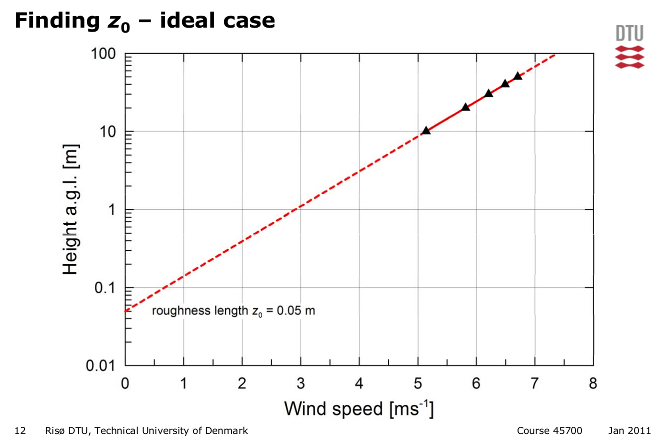 In general it is a good idea to exclude the low wind speeds (< 3 m/s). For the vertical extrapolation of a whole time series it is best to calculate alpha for every recorded value of wind speed. 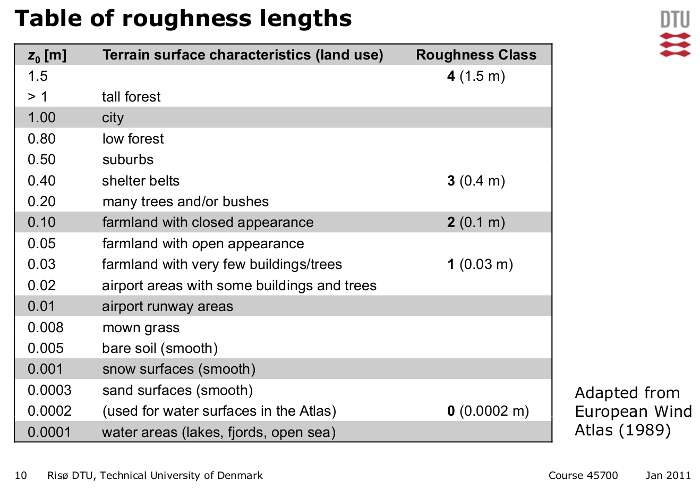 The roughness length can be calculated from the measurements of at least two anemometers at different height. 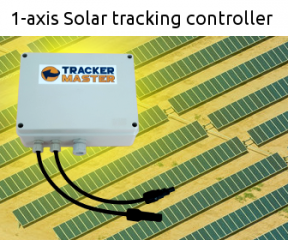 However, if there is only one wind speed measurement, the terrain surface characteristic of the site can be used to extrapolate that single data-set to a different height.